Jeremiah G. “Jerry” Quinlan was born in 1861 in Saint John, New Brunswick, Canada. He and his sister Rachel came to Skagway around 1900. Rachel married Martin Conway and Jerry married Agnes Alice. Jerry was the first conductor of the White Pass Rotary Engine as he is seen in the photo above which was generously given by his descendent Quinlan Steiner today. What a dashing uniform too! 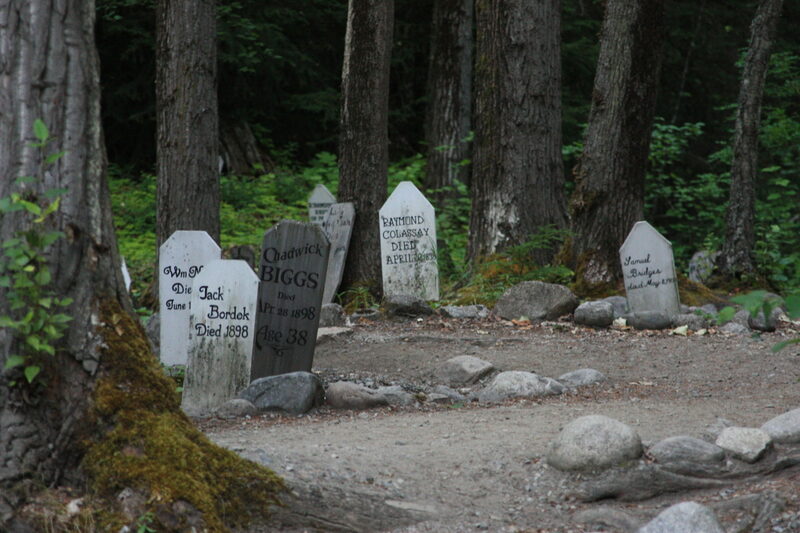 Unfortunately Agnes Alice died in Skagway and is buried in the Gold Rush Cemetery and Jerry died in 1917 and is buried in the Pioneer Cemetery (he was 56). They lived at 607 Main Street and in 1910 had an adopted son, John , who was born in Washington in 1894. John later worked for White Pass as a wiper (whatever that means). I have seen this often in Skagway where children were adopted. This month the White Pass & Yukon Route Railroad is gearing up for the upcoming season, I have always thought that the black snappy conductor uniforms look very smart. Let us all hope and pray for a safe season. Hello I am so overjoyed to have come across this page, but wish I had found it sooner. 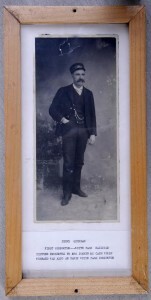 I am a Seattle Historian currently writing about John Quinlan and his towing company for my blog. I have a lot of information about him, his life, and his business and it seems like you know some things I don’t. So I would love to trade notes with you at some point. Please contact me at your earliest convenience. Thank you!